Prominent & Leading Manufacturer from Srinagar, we offer kashmiri honey. 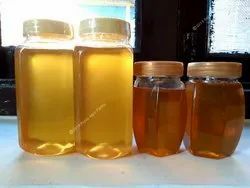 We offer premium quality of kashmiri Honey. Unheated, No ultra filteration done, No chemicals, No synthetic honey added (like invert sugar, high fructose corn syrup or rice syrup) . Bee pollen and essential enzymes present. Ideal for medicinal use. KASHMIRI SAFFRON HONEY, BROWN HONEY .